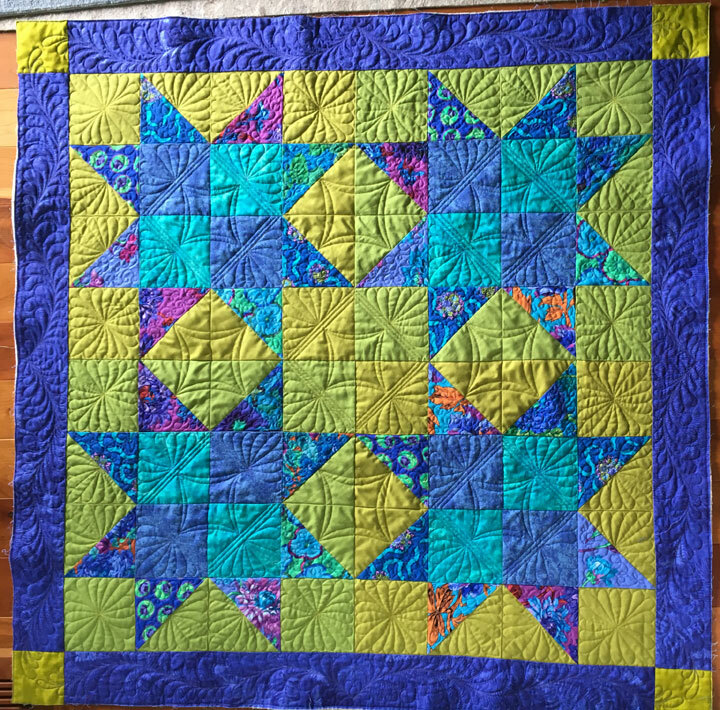 Another Orphan Block Quilt Finished! 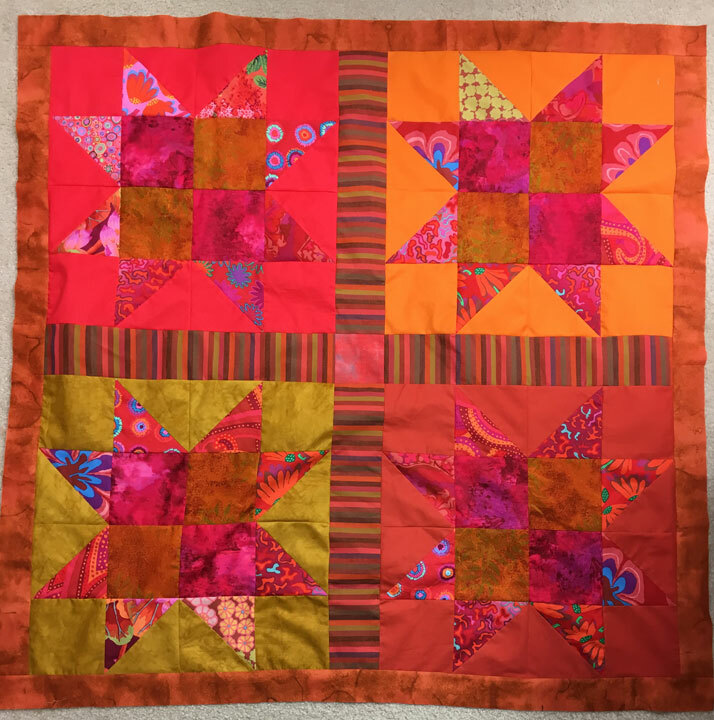 2nd hospice donation quilt for the period Oct 1, 2018-September 30, 2019. 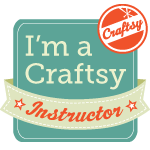 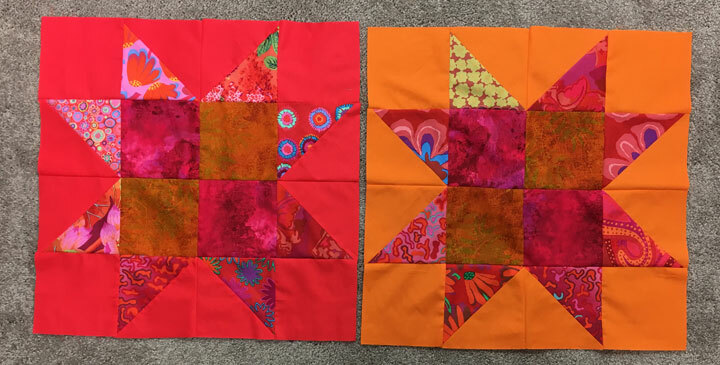 My goal is to piece at least 12 quilt tops over the next 12 months and if I can also get them quilted in that time frame, I would be on the moon! 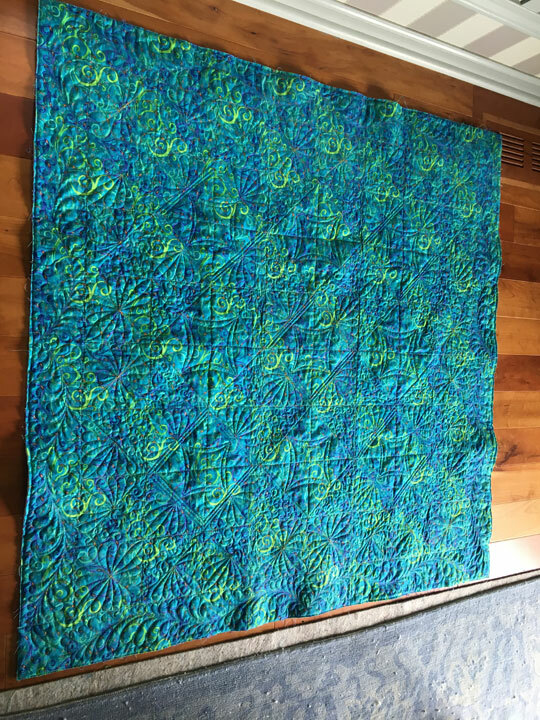 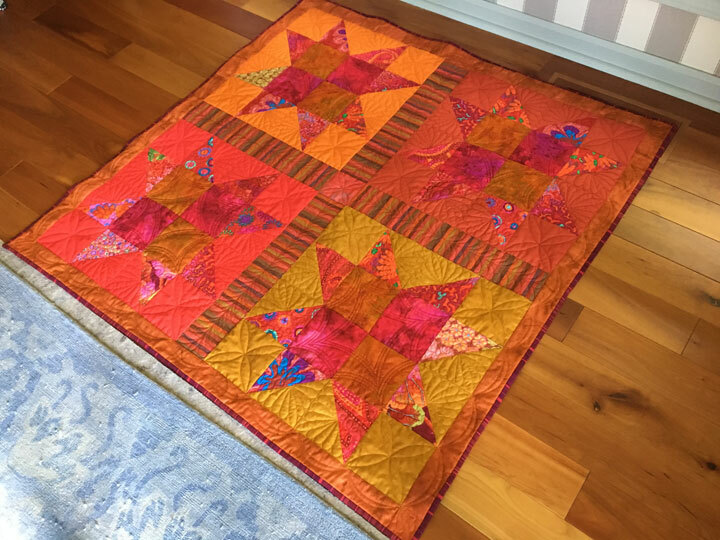 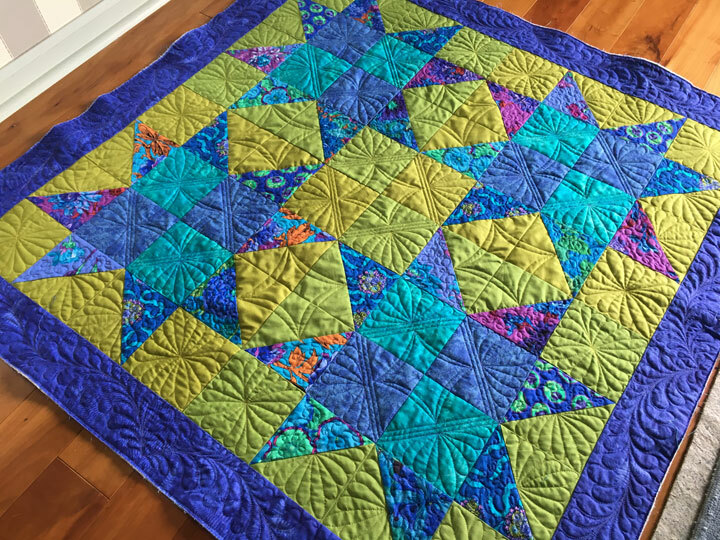 Hospice donation quilt #1 for the period of 10/1/18-9/30/19! 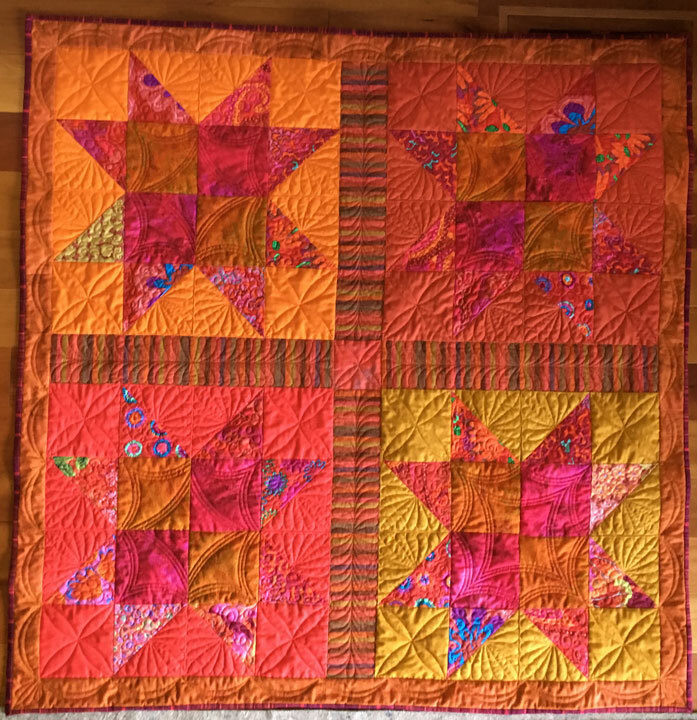 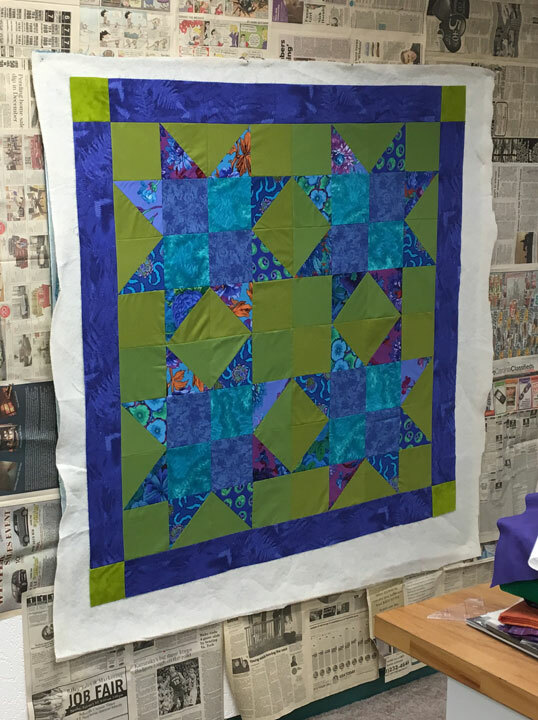 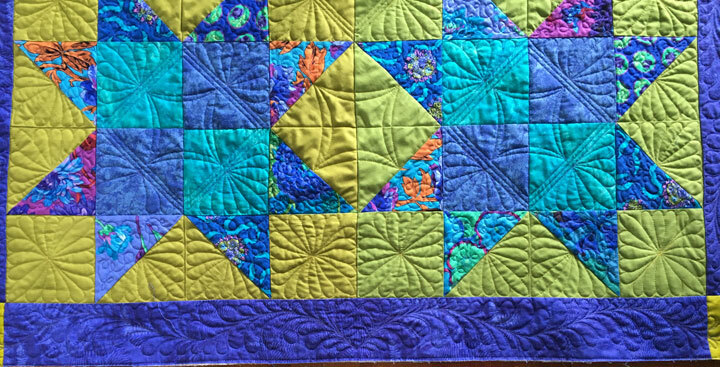 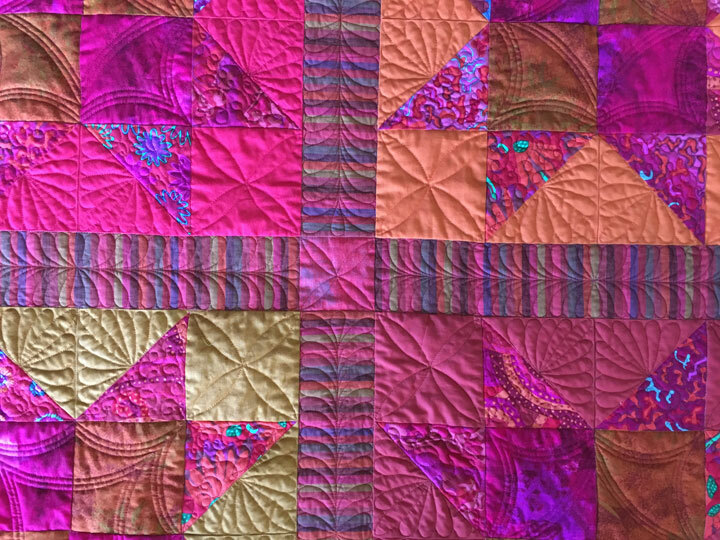 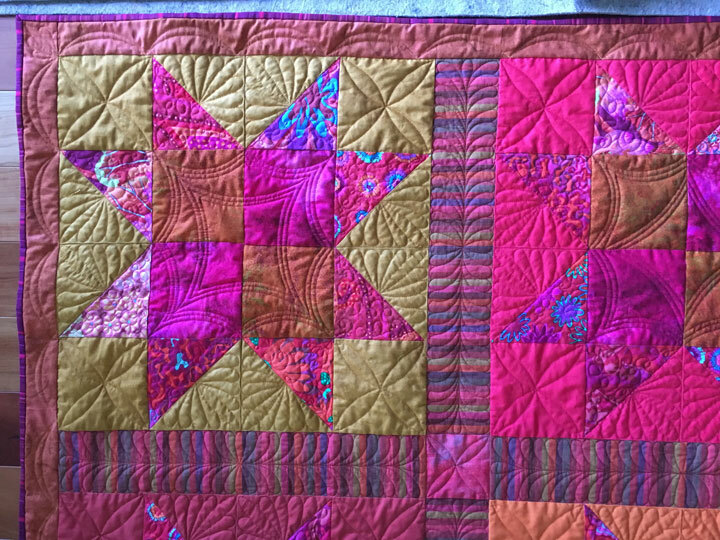 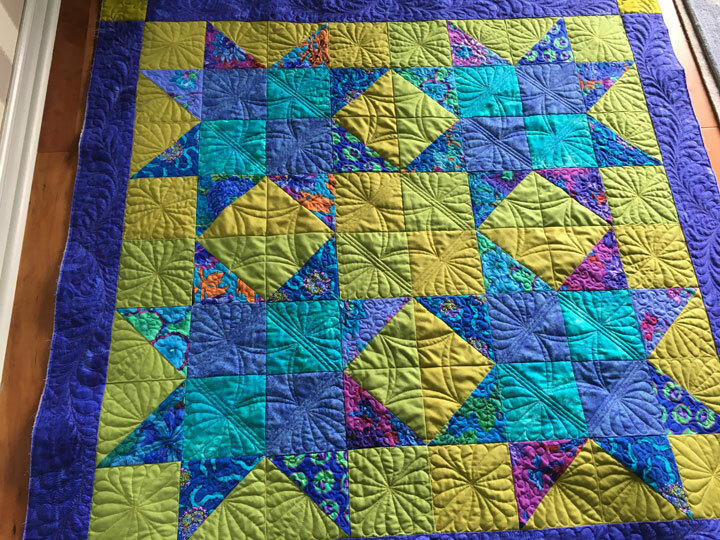 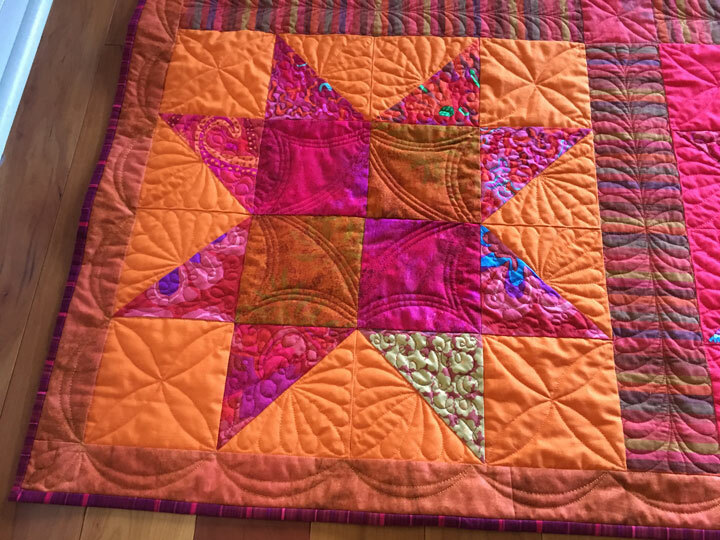 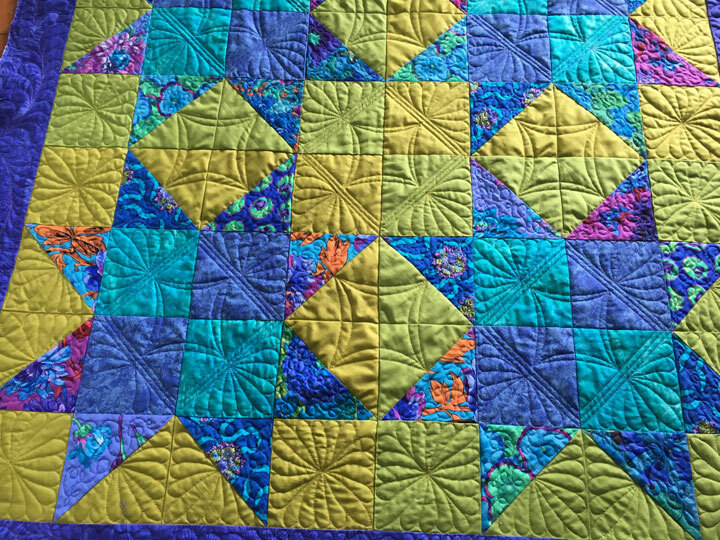 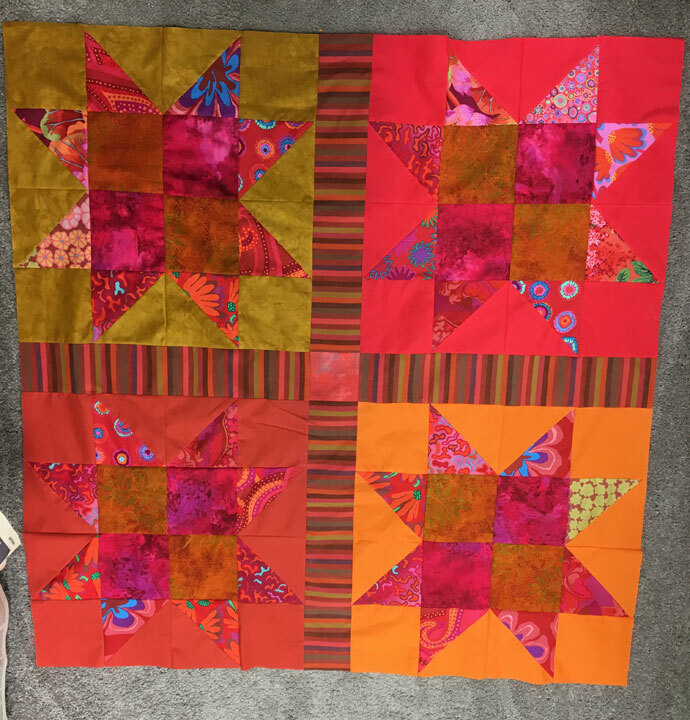 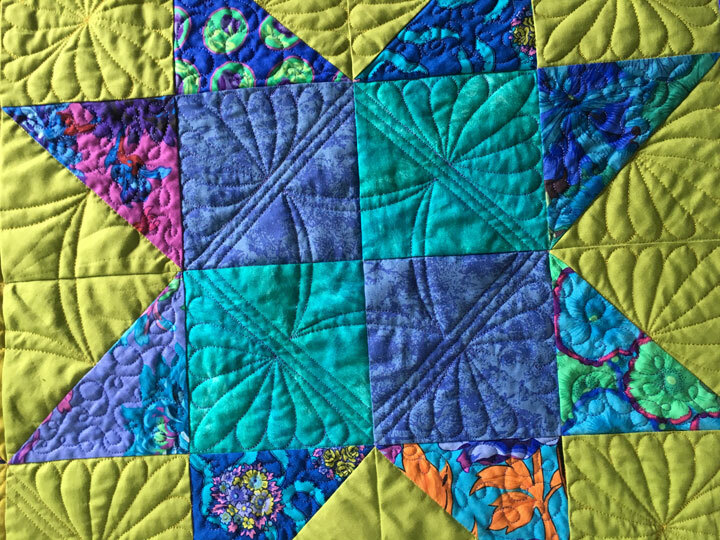 This quilt is now basted together and ready for some free motion quilting! 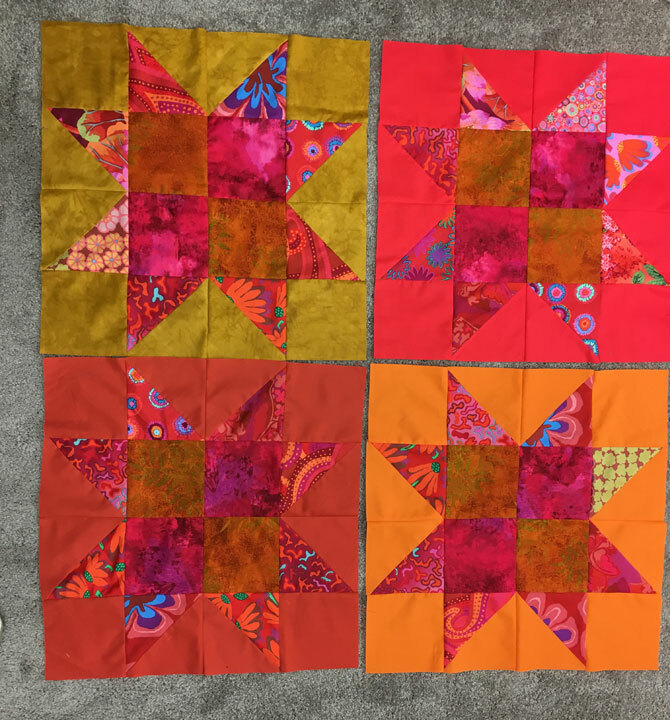 I love all these colors together so this will be a total pleasure to quilt…more to follow! 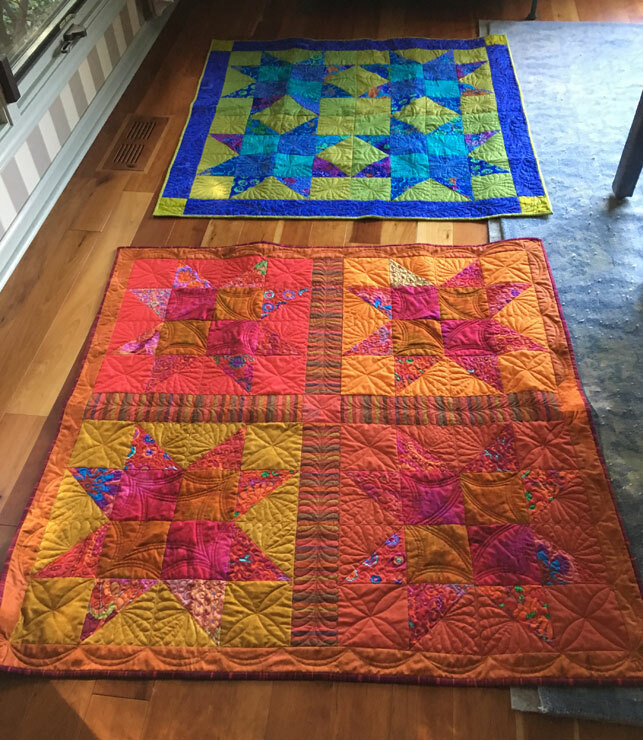 The show was a great show and I spent a lot of money on the vendors. 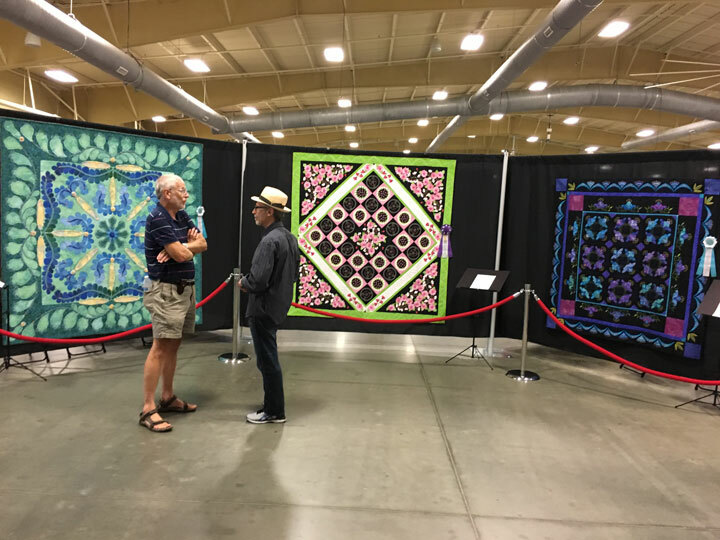 It is always so inspiring to see so many quilts in one place, and I always leave with lots of ideas running through my head. 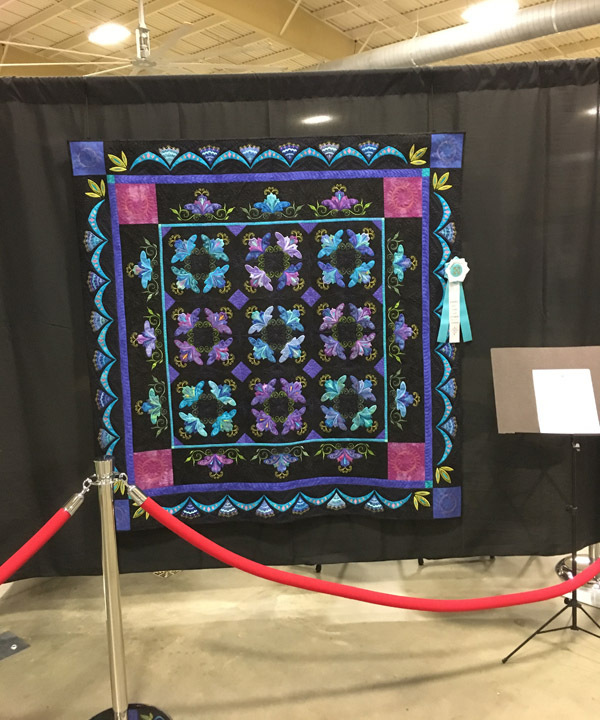 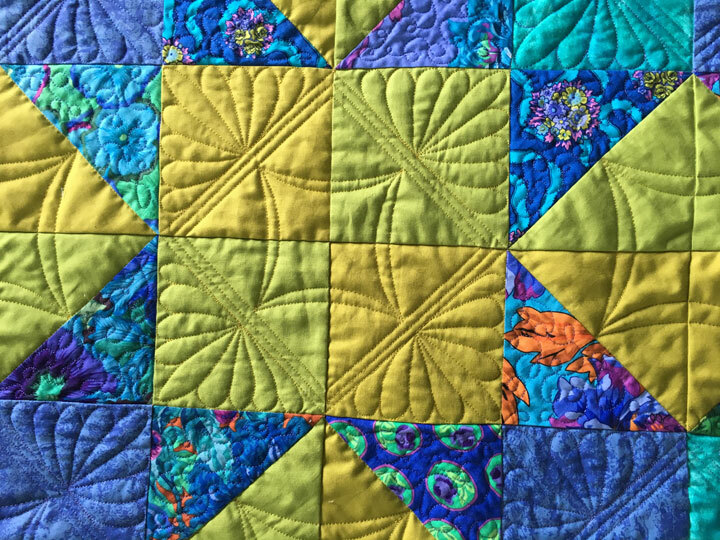 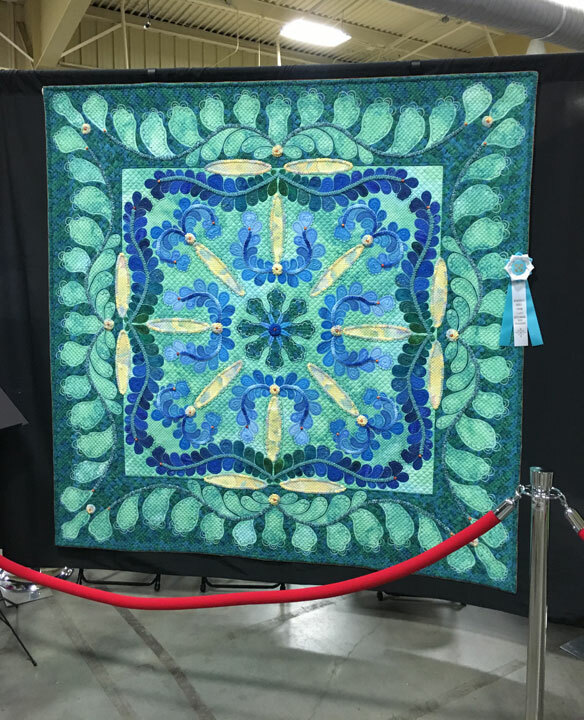 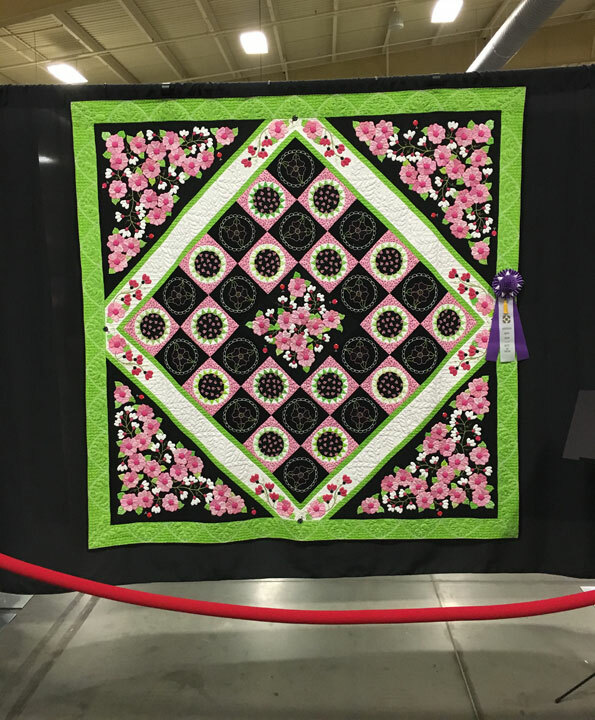 Thanks to everyone at the Asheville Quilt Guild for putting on such a great show!